It's the latest move in escalating tensions between the world's two largest economies, which some experts fear could turn into a trade war. Beijing says the new sanctions on 128 US products, which it first proposed 10 days ago, are in response to President Donald Trump's tariffs on imports of steel and aluminum from China and some other countries. The administration has said those tariffs will punish the Chinese aerospace, technology and machinery industries, but it hasn't announced which specific products will be hit. The tariffs also won't take effect right away. A US fact sheet says the administration will take public comments for 30 days on the proposed action. US Trade Representative Robert Lighthizer told CNBC last week that the public comment period would be 60 days. It's unclear how China would respond to those aggressive measures. For now, Beijing is focusing on its response to the steel and aluminum tariffs. China's commerce and finance ministries said in statements late Sunday that authorities are imposing tariffs of 15% on 120 American products — such as fruits, nuts, wine and steel pipes — and 25% on eight other products, including pork and recycled aluminum. The US National Pork Producers Council warned last month that the measures would "have a significant negative impact on rural America." It said the US pork industry sold $1.1 billion worth of products to China last year, making it the third largest export market by value. China's Ministry of Commerce said in its statement late Sunday that those exemptions "seriously violate" World Trade Organization rules that prohibit members from discriminating against other WTO members. 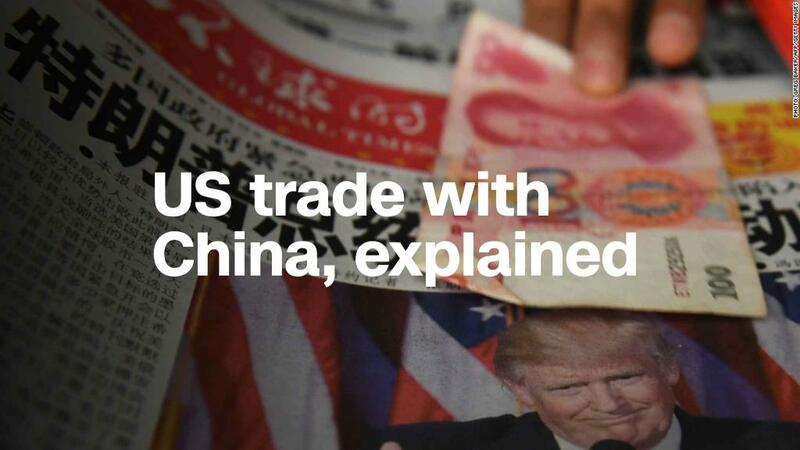 It said it hoped the US government would withdraw the tariffs "as soon as possible so that the trading of products between China and the United States will return to a normal track." Deputy White House Press Secretary Lindsay Walters on Monday responded to Beijing's announcement of the tariffs, saying that "instead of targeting fairly traded US exports, China needs to stop its unfair trading practices which are harming US national security and distorting global markets." China has repeatedly said that it doesn't want a trade war but has also warned that it will take "firm and necessary" countermeasures to defend its interests. In an opinion article Monday, China's official news agency Xinhua warned that Trump's plans to impose further trade measures on China are a "self-defeating gamble" that will cause harm to the American economy. 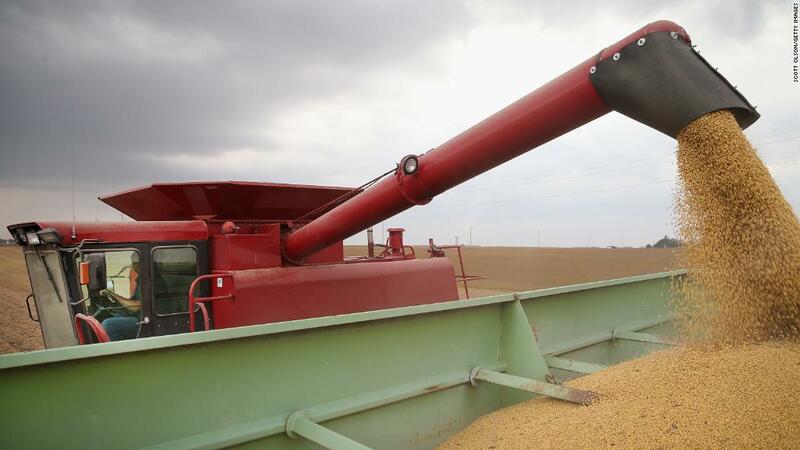 "Trump's planned tariffs are not only going to hamper the United States' economic well-being and continued progress, and burden its people with higher costs of living, but also pose a grave threat to the current global trading system," the article said. Related: China pledged to invest $250 billion in the United States. Now what? Trump has long accused Beijing of stealing American jobs through unfair trade practices. He has promised to bring down the United States' huge trade deficit in goods with China, which reached $375 billion last year. But economists have cautioned that tariffs are unlikely to achieve that goal and risk hurting economic growth instead. So far, though, neither side is backing down. China's approach is to show it's willing to stand up to the United States but without going as far as seriously disrupting the global trading system, according to Kroeber. China wants "to position itself as the good guy in the global economy, protecting the rules of the game from Trump's lawless attacks," he wrote. -- CNN's Serenitie Wang, Ivan Watson and Abby Phillip contributed to this report.